Exactly 15 years ago, Volkswagen introduced the first dual clutch gearbox (DSG) for large-scale production, an automatic transmission for the modern age. More economical and sporty than any automatic gearbox before, the DSG changed the way gears are shifted, particularly in the compact class, and thus driving itself. Gears were almost always shifted manually before the DSG came along in 2003 and shifted gears faster than any driver could manage manually. 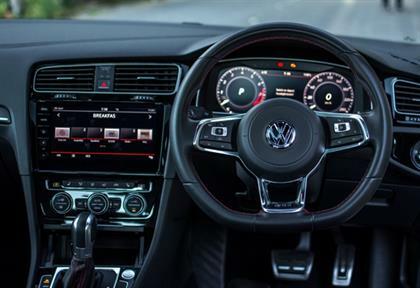 To date, more than 26 million drivers of a Volkswagen and the Group models have opted for a dual clutch gearbox. The USA and Europe – two separate "gearbox worlds" until a few years ago: Automatic transmission has always been preferred in North America. At the turn of the millennium, 88% of all motorists there opted for an automatic transmission. Western Europe, which is dominated by compact vehicles, presented a completely different picture in 2000: Here, only 14% of cars – predominantly premium models – had automatic transmission. And this was not only due to the higher price of automatic transmission: A manual gearbox was usually more economical and sporty. And so more than 90% of Golfs - the most successful of all Volkswagen cars - came off the production line with a manual transmission. 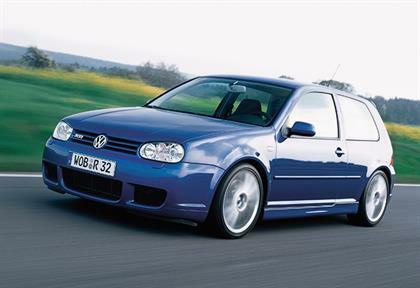 The triumph of the automatic transmission was introduced in 2003 by the Golf R32 with 177kW. As the first Volkswagen, it was on sale with an optional 6-speed DSG. This new type of automatic gearbox shifted extremely athletically and was up to 20% more economical than the automatic gearbox with hydraulic torque converter. And that changed everything. In 2018, the DSG installation rate for the Golf is over 40%. It is even almost 30% for the smaller Polo. The Golf Sportsvan has an installation rate of 50%. The DSG figures for the T-Roc and Tiguan have settled at a similarly high level. 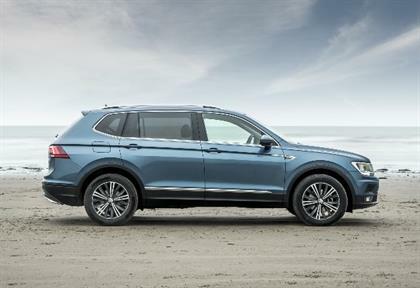 For the large Tiguan Allspace, the DSG installation rate is even around 90%. In the Passat, the average is between 60% and 70%. The Arteon constantly breaks the 80% mark. Depending on the model, engine and type of drive, today Volkswagen offers various 6-speed and 7-speed DSGs. They are currently designed for torques up to 250, 400, 420 and 550Nm. In addition, there is a 6-speed hybrid DSG as a module with an integrated electric motor for plug-in hybrid models such as the Golf GTE1 and Passat GTE2. The gearboxes are constantly being further developed. A coasting function, where the DSG decouples the engine from the drive train in order to use the kinetic energy of the vehicle and thus further reduce fuel consumption, is becoming increasingly standard. All dual-clutch gearboxes are united by an extraordinarily good shifting performance without tractive effort interruption. The shifting process takes place within a few hundredths of a second. During cruising, the DSG shifts up a gear very early – this saves fuel. It is also a fact that the dual clutch gearboxes are a perfect match for the hybrid systems of tomorrow. This is another reason why the future belongs to the DSG.